Innovative mobile commerce solutions are emerging at a rapid pace, but the most buzzed-about payments innovation this holiday season is not an app or a dongle. Rather, it is a re-imagination of the traditional plastic card, and it’s available for pre-purchase just in time for the holidays. Why is there so much hype around Coin, and can it survive over the long term, or will it fade out as quickly as it came? One of the most-cited barriers to widespread adoption of mobile payments is the lack of necessary infrastructure to enable a seamless transition to mobile. Creating an enabling ecosystem for NFC contactless payments, for instance, requires retailers to invest in updated point-of-sale systems, and mobile device manufacturers to develop NFC-enabled handsets. On the other side of the equation, many consumers do not see the value in transitioning to mobile, or are concerned about the security risks posed by m-payment platforms. Coin therefore presents a novel solution (though not an unprecedented one – think iCache, Card 2.0 or the Protean Echo of 2012). The San Francisco-based startup has developed a magnetic-stripe-powered, credit card-sized device that can carry all of your other plastic cards, from credit and debit cards to loyalty, gift or membership cards. Unlike NFC or many other m-payments platforms, Coin does not require any radical transformation of the existing payments environment to work. Rather, it offers many of the benefits of mobile wallets without deviating too far from tried-and-true card payments. Coin in fact follows a trend that we have noticed taking off throughout the financial services ecosystem: putting the consumer front and center. Rather than working through banks or other intermediaries, Coin is marketing their product directly to consumers. This latches onto the concept that it will be consumers who will drive change in financial services. The product itself was evidently designed with consumers in mind, and offers a clean design and user-friendly functionality. Cards can be ‘uploaded’ into Coin through a mobile card reader reminiscent of the Square dongle, and selecting a card to pay with requires only pressing a button to scroll through the available options. One of the more innovative features is a Bluetooth Low Energy transmitter that alerts users via their smartphone when they are a certain distance away from their Coin – preventing them from leaving it behind. Coin’s attention to consumer needs has paid off for the company, at least thus far. Within 40 minutes of launching in mid-November, the company met its crowdfunding goal of $50,000 and is available to pre-order now for $50 (it will cost twice as much when it becomes available in mid-2014). As of this week, there were more than 7.1 million views of the Coin launch video, signaling that consumers are at least curious about the device, if not interested in purchasing it. Because it depends upon magnetic stripe technology, Coin could also be left in the dust when US point-of-sales make the forthcoming shift to the EMV chip-and-PIN system. Why is Coin betting on technology that is seemingly archaic and will be outdated in only a few years? Perhaps they have a few tricks up their sleeve, and the Coin card is simply a means to garner consumer buzz as they develop more future-forward technology. For example, the company has said it plans to add EMV support in future versions of the device. Webster suggests that perhaps Coin could enable direct payments via their (already developed) mobile app, which currently is only used to upload and organize users’ cards. Security issues may also be the product’s downfall – with criticism swirling that a Coin owner could hypothetically use the device to skim the information from other cards. 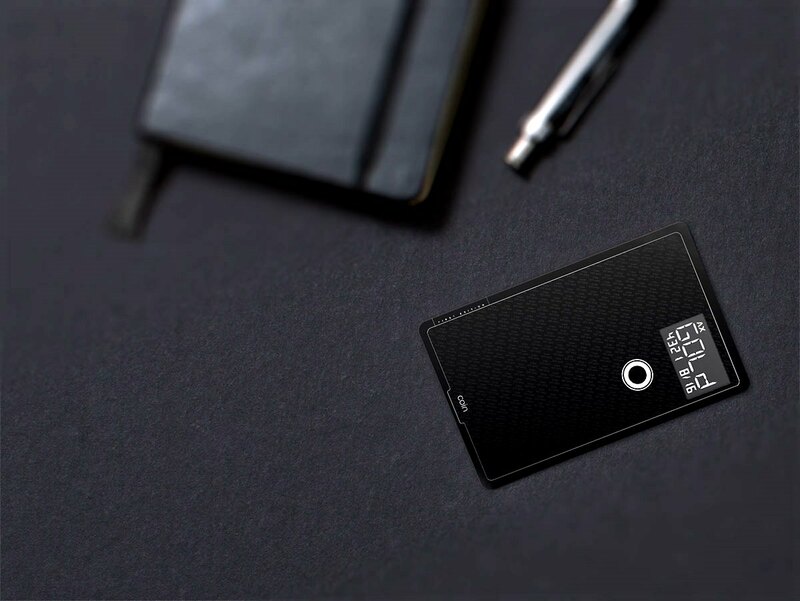 In response, Coin has unveiled several changes to the device, including a button that enables users to reactivate the card even if their phone is dead through a “Morse-code-like” system. Coin also has a sensor to track how many times the card is swiped and sends a notification via the app if it is used fraudulently. Further, and perhaps most importantly, the founders of Coin have not revealed how the product has been received by major card companies such as MasterCard, Visa, and American Express. It is possible that card companies will not approve of Coin if they think it poses a liability or is susceptible to fraud. Coin may also breach card network payment rules which often mandate a signature on the back of the card, or that card company logos be visible. If card companies do not approve of Coin, the idea will be put on life support. Many are pointing to Coin and the newly-unveiled Google Wallet prepaid card as evidence that mobile payments are dead and that a reversion to cards (with more frills) is the new frontier in payments. But making this argument is to simplify the payments space and forget about all of the promising innovations in mobile payments and commerce. Coin might deliver on its hype, but we think it will most likely end up as a stocking stuffer or a throwaway gadget for early adopters. Even if the product makes it into the market, it will likely be discarded as soon as mobile wallets reach the mainstream or chip-and-PIN is mandated in the US (whichever comes first).